Last February, producer Jeff Bhasker was in New York working on Beyoncé's 4. For nearly three months, he had been getting calls from John Janick, president/CEO of Fueled by Ramen and co-president of Elektra, about a New York band called fun., whose singer, Nate Ruess, desperately wanted to work with him. Bhasker, generally known for his high-profile work on hip-hop projects like Jay-Z and Kanye West's "Watch the Throne," took his time returning the calls. "I kind of blew them off actually," Bhasker says today. "It wasn't until I was in New York working that Beyoncé album that someone from my team said, 'Fun. is in New York. Can you just meet with them quickly?'" Reluctantly, Bhasker met Ruess for drinks, but then, the pair slowly hit it off. 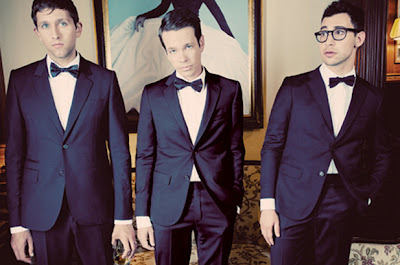 After downing a few cocktails, Ruess was in Bhasker's hotel room singing the hook to fun. 's breakout hit, "We Are Young," the flagship single from the band's second album, "Some Nights," which arrived Feb. 21 on Fueled by Ramen/Atlantic. 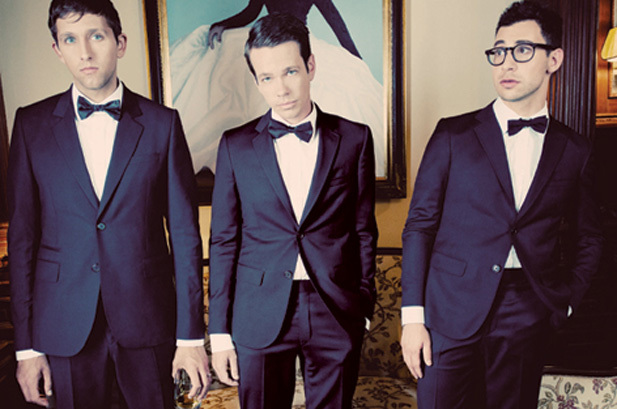 "Jeff automatically freaked out," Ruess says. "It went from, 'Oh, it's nice to meet you,' to 'We need to get into the studio in the next few days.' It was a catalyst for everything we've done until now." The next day, Janick put Bhasker and Ruess in a New York studio. There, the duo cut a version of "We Are Young" not far from the final version of the track, which was covered on an episode of Fox's "Glee" in December and landed a prominent synch in Chevrolet's "Stunt Anthem" Super Bowl spot for the new Sonic car. "We Are Young" is No. 3 on the Billboard Hot 100, while Some Nights debuts this week on the Billboard 200 at No. 3, selling 70,000 copies, according to Nielsen SoundScan, with digital albums comprising nearly 72% of sales. Even Janick, who didn't hear the track until after it was recorded, says that everyone involved knew "We Are Young" was a special song. "It just felt like a massive record from the beginning," says Janick, who signed fun. to Fueled by Ramen in early 2010 after chasing Ruess' former band the Format for years. "Not to say that we can foresee the future, but I've noticed in my life there's very few projects where something feels special and you go after things and they come to you and things fall into place. This is one of those projects." "We Are Young" was released as a single on Sept. 20, 2011, with a video following in early January. The track was slow-building, initially attracting only the attention of online media. For fans of fun. 's debut, Aim & Ignite, which came out on Nettwerk in August 2009 and peaked at No. 71 on the Billboard 200, "We Are Young" felt like an appropriate follow-up. The song, which features Janelle Monáe (another benefit of the Bhasker connection), is a grandiose alternative number, built on theatrical orchestration and a propulsive, immediate chorus that beams with inspirational effect. In addition to helping secure the Super Bowl synch, the song's enormity and dramatic flair brought it the coveted "Glee" cover. "I vividly remember John dropping by my office with a just-mastered 'We Are Young' in hand," "Glee" music supervisor PJ Bloom says. "It was still on its original blank CD-R titled in poorly handwritten red Sharpie." When Janick suggested that the track was perfect for the musical show, Bloom demurred. "'Glee' doesn't break bands," Bloom says. "We celebrate existing pop success-that's our core model." But after listening to the song only once, he changed his mind. "Not five minutes later I sent it to ["Glee" co-creator] Ryan Murphy, and within a few short weeks Ryan created what would become one of [the show's] pinnacle song moments of the entire series," Bloom says. "For fun., 'Glee' provided a launching pad for much of the success to come. For 'Glee,' fun. allowed us to show the world we could be an A&R source and break a band. It was music business perfection." But fun. 's "We Are Young" didn't quite take off following "Glee"-the show's version did, peaking at No. 12 on the Hot 100. After the Super Bowl, however, the single soared. According to Columbia, which handles "Glee" releases, "We Are Young" marks the first track that was truly broken by "Glee." "The only other two tracks that even come close are [our] artists," publicity coordinator Winnie Lam told Billboard in an email. The show's cover version of "We Are Young" has sold 351,000 copies, nearly six times that of the "Glee" versions of Hey Monday's "Candles" and Black Kids' "I'm Not Gonna Teach Your Boyfriend How to Dance With You." But while the release of the "Glee" version did cause a 1,650% jump in sales of fun. 's "We Are Young" (from 3,000 to 49,000, according to Columbia, during the week of Dec. 11, 2011), it wasn't until the song appeared in the Super Bowl spot that fun. 's "We Are Young" took off. In the weeks since, the song has notched sales weeks of 291,000, 244,000 and 296,000, working backward to the week of the Super Bowl. Its total sales now stand at 1.2 million. "That's always the first thing that will get a song on the air, if it's a song we love and we think the listeners will love," says Lisa Worden, music director of alternative KROQ Los Angeles, which put the song in rotation in January, just before the Super Bowl. "The song is anthemic, it's catchy. Lyrically, it's something I think our audience can relate to. That's why it went on the air, and then all the marketing around it is an added bonus. That's helped in getting the song out and reaching a different audience." 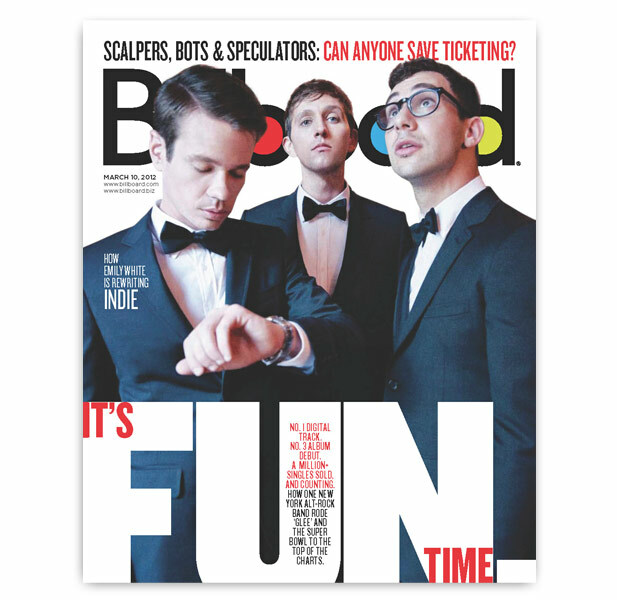 "The response to synchs has been really amazing," says fun. 's manager Dalton Sim of Nettwerk, noting that the band's extensive touring, which has included playing Coachella, ensured that the groundwork was already in place for the act to grow. "From my perspective, the success comes from the hard work the band, Nettwerk Records and Fueled by Ramen have put into the band for the last three-plus years to develop a real fan base. Now, with some great exposure, the fun. fan base is taking those looks and spreading and connecting the band to new people."